Our services include building code consulting for residential and commercial properties, fire and building inspections, and permitting administrative services for local municipalities. We currently provide services for areas across Northwest Florida, assisting with community development, upholding city building ordinances, and providing permitting services. Click here to view information, forms, and documents for specific cities. EPCI assists local municipalities in Northwest Florida with upholding state codes and local land development regulations. We offer efficient permitting staff, knowledgeable building and fire inspectors, and years of code services experience. Whether it is your home or your business, we always take a personal interest in each step of construction to assure a safely established environment. Under state and local laws, businesses must abide by fire codes for the safety of business employees, customers, and the surrounding properties. EPCI provides onsite safety inspections which can be scheduled by contacting EPCI at our Panama City Office. Fire Inspection Fees of $150 to $300 can be made at any of the local EPCI building department locations. For EPCI office locations visit our contact page. The State of Florida has enacted laws regarding commercial for inspection under Florida Statute 633. 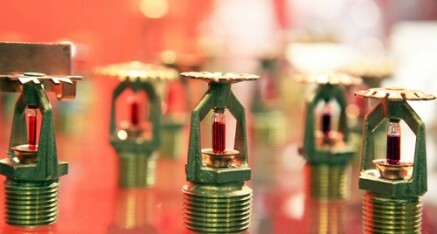 To review Florida’s fire codes click the link provided, http://www.leg.state.fl.us/statutes/ and search Chapter 633.